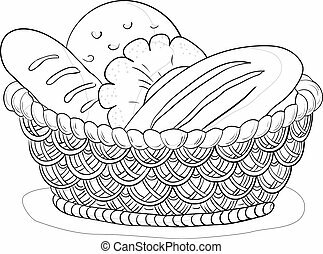 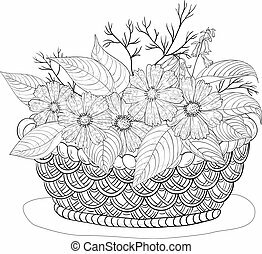 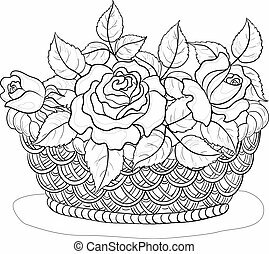 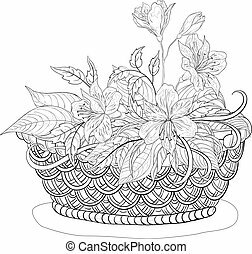 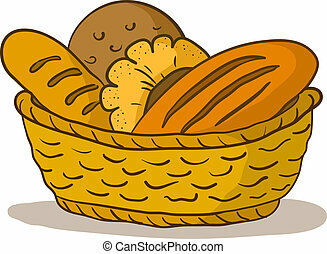 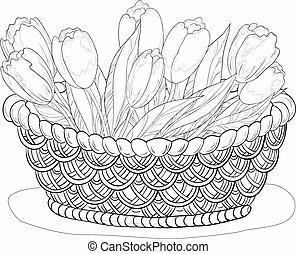 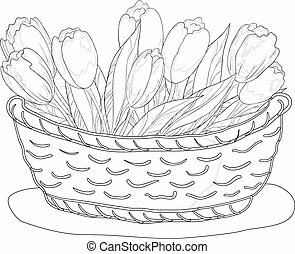 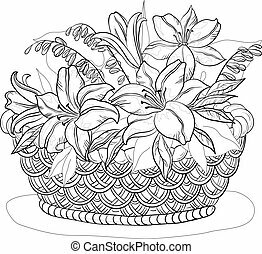 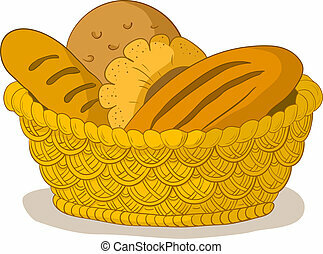 Baker with bread basket, contour. 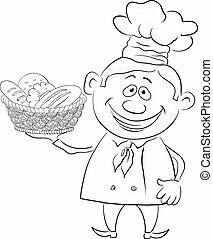 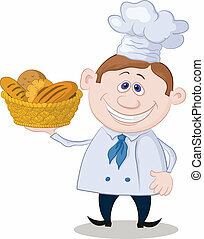 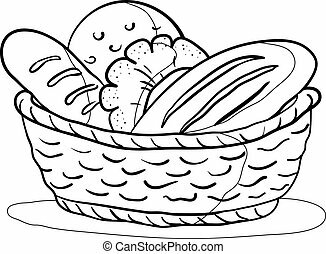 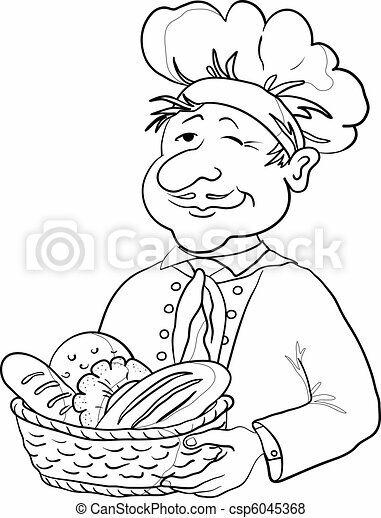 Cook - baker in a cap with a basket of tasty newly baked bread, contour. 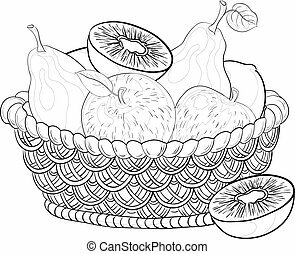 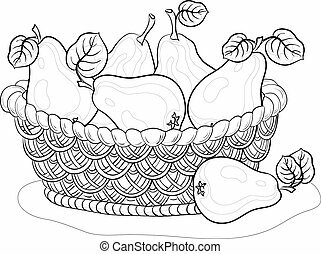 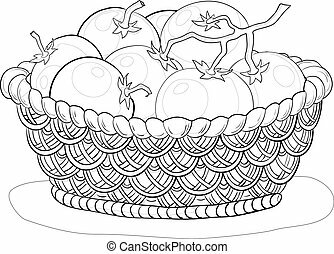 Still life, contours: wattled basket with sweet fruits: apples, pears, kiwi.